On 25 October 1977 a Senate committee chaired by Senator Peter Baume issued a report on Drugs in Australia – an intoxicated Society?’ This report is rightly regarded as a landmark. No doubt reflecting Baume’s background as a specialist doctor, it was thoroughly grounded in science, encompassed all psychoactive drugs including tobacco, alcohol, prescribed and illicit drugs, used a harm minimisation framework and was Australia’s first comprehensive review of a difficult area. Most official reports are lucky to be remembered 40 days after being released. But this report is still being discussed 40 years later. When the report was written, Australians each consumed about 13 litres per year. That has now fallen to about 10 litres per person per year. In the half century before the report, alcohol consumption had increased more than four fold. Much has changed since the report was compiled. Alcohol is now much better understood. We now also know how to reduce the harm from alcohol but still do not know how to thread this knowledge through the political maze. Australia now has a very impressive alcohol and drug research capacity. But much regarding alcohol still has not changed in regard to alcohol in Australia. Most families still have at least one member with a serious alcohol problem. As a result the community experiences substantial health, social and economic costs due to alcohol. Aboriginal and Torres Strait Islander populations, like First Nation populations in other New World countries, still experience severe alcohol problems notwithstanding the fact that they also have very high rates of alcohol abstainers. Another feature that unfortunately has not changed is the appallingly weak prevention and treatment response. The Baume committee made 37 recommendations specific to alcohol out of a total of 84 recommendations. Twelve recommendations were implemented in full, 16 were partly implemented and no progress was made against nine. Eight of the 13 drink driving recommendations were accepted and implemented in full while the remaining five were partly accepted and implemented. There was little or no progress in the three prevention policy areas where the evidence for effectiveness is strongest: price; availability; and advertising and promotion. The Baume committee recommended that alcohol advertising be banned. 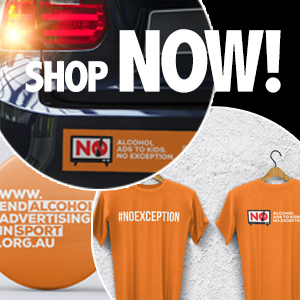 Forty years later in Australia, alcohol advertising still flourishes and is still ‘self regulated’ despite numerous reports that alcohol advertising often breaches even the weak regulations it is subjected to. Self-regulation is to regulation as self-importance is to importance. Three years after the report was tabled, the government responded. Baume commented that the government accepted the easier and less significant recommendations while rejecting the harder ones. This is the never-ending story of alcohol problems in communities: governments implement what doesn’t work and do not implement measures known to work. The community continues to wonder why alcohol problems are so common and severe. Many of the recommendations were very reasonable and ahead of their time. When the report was released there were every year about 30 road crash deaths for every 100,000 Australians. Now there are every year less than five road crash deaths for every 100,000 Australians even though car ownership and utilisation has soared. Random breath testing and road harm reduction have contributed greatly to the many lives saved, severe injuries prevented and billions of dollars saved. The Baume report made a major contribution to these advances. Just imagine if more of its recommendations had been accepted. The report grappled with the very unequal distribution of alcohol consumption. The heaviest drinking 5% accounts for about a third of the alcohol consumed in a community, the heaviest drinking 10% for about half and the heaviest drinking 20% for about 70% of the alcohol consumed. This minority is vital to the financial health of the drinks industry. The report helped to move the focus towards evidence, increase Australia’s research capacity and expand and improve our clinical workforce. But Australia’s alcohol and drug treatment system is still very weak. There is little community support for improving prevention or treatment. The power of the alcohol beverage industry cannot be overstated. As John Thorpe from the Australian Hotels Association said on ABC TV in 2004 ‘… democracy is not cheap. And your firm and your company – everybody’s involved with assisting political parties because at this stage we need to keep these people in place to have the democracy we have today.… Yes, it costs money. But we did get interviews with ministers, we did get interviews’. In 1979 the Central Policy Review Staff, a Whitehall research centre in the UK, were commission by Prime Minister Callaghan to study the national economic impact of the drinks industry. When the report landed on the desk of the new Prime Minister, Mrs Thatcher assigned the report to the Official Secrets Act. The CPRS had found that the economic benefits of alcohol to the British economy were much less than expected and the costs far higher than expected. Fortunately copies of the report still surfaced. At about this time the World Health Organisation commissioned a report on the alcohol beverage industry. When the drinks industry heard about this project, the publication was stopped although Clairmonte and Cavanagh still managed to have their work published as a book (without any reference to WHO). Though not included in the report, after decades of debate, the addition of thiamin to flour in Australia from the early 1990s prevented a form of brain damage (Wernicke Korsakoff Syndrome). This has been a public health triumph. Nevertheless the meagre progress made in reducing alcohol problems in Australia stands in sharp contrast to what has been achieved in Australia in reducing smoking rates and tobacco related deaths and disease. The public health David eventually tamed the Tobacco Industry Goliath. Baume also contributed to the control of HIV among and from people who inject drugs which saved many lives and many billions of dollars. Even having a single focus, funded and well run alcohol prevention organisation has so far not achieved the adoption and implementation of highly effective prevention measures. Herb Stein, Nixon’s economics adviser, reminds us that ‘things that cannot go on forever don’t’. Quite so. The Baume report might have been described as a ‘watershed moment’ however government policy action to address the health, economic and social harms caused by alcohol which are external to cultivating the notion of alcohol use as a person responsibility is a ‘drought’.